Review of “Woodrow Wilson: A Biography” by John Milton Cooper, Jr.
“Woodrow Wilson” is detailed and comprehensive – and clearly the result of significant research. About seventy pages of notes accompany the 599 pages of text. Cooper’s writing style is easy to navigate, but while it is intellectual it is not particularly elegant or descriptive. As a result, this book feels like the product of a research-minded historian rather than a writer. While I don’t remember reading anything groundbreaking and revelatory about Wilson, this biography is strong in several areas. The discussion of the campaign and election of 1912, for example, is extremely interesting – particularly Cooper’s comparison of Wilson’s and Teddy Roosevelt’s backgrounds and political philosophies. Cooper also provides an interesting review of the 1916 Republican presidential candidate (Charles Hughes) as well as that party’s tactical situation during Wilson’s campaign for reelection. And the story of Wilson’s efforts to ensure US neutrality during World War I is probably better-told here than in any Wilson biography I’ve read. But the best part of the book may be its final pages: Cooper provides the best summary of Wilson’s three-year post-presidency that I’ve seen. There is a consensus that Cooper’s biography is too kind to its subject, and on an absolute basis that is true. 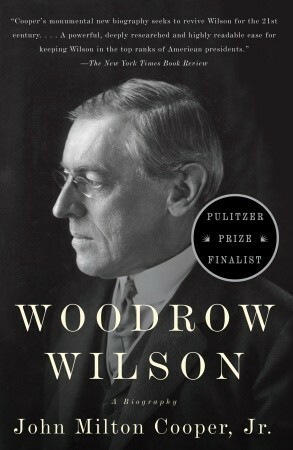 Relative to other biographies of Wilson, however, this book actually proves somewhat balanced. Cooper addresses Wilson’s views regarding race relations and women’s suffrage with more candor than I’ve seen in other biographies, while his harshest criticism is leveled at Wilson for remaining in office after suffering a debilitating stroke. Still, every Wilson biographer seems to be an admirer…and this case is no different. But while there is much to admire about Cooper’s biography, it fell short of my lofty expectations. The author conveys facts articulately and efficiently, but is not always as focused on interpreting actions and events. Some sections are infused with compelling analysis, but many are not…reminding me of a souped-up history text. And where the best biographies bring their subjects to life with colorful scene-setting, “Woodrow Wilson” lacks spark and personality. It is not quite a “facts-only” rendering of Wilson, but he and others around him don’t come to life with nearly the vibrancy I expect. 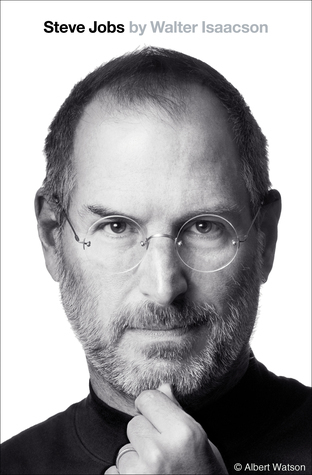 Instead, this biography reminds me of a college friend you could rely on to tutor you in a difficult subject…but who wasn’t a person you would choose to hang out with for fun. Overall, John Milton Cooper, Jr.’s “Woodrow Wilson” is a good, but not great, presidential biography. It’s hard to imagine a more thorough or detailed review of Wilson’s life, but not difficult to envision one that is more captivating or engaging. It does not live up to its reputation of “revitalizing” Wilson’s image (a task performed by at least one earlier biography), but Cooper is successful in portraying Wilson as a great man who was tragically human – and whose presidency would have been greater had it ended sooner. I’ve been thinking about starting a presidential bio collection for a long time but with so many books out there I didn’t know where to jump in. This site is exactly what I was looking for. Thanks a ton!